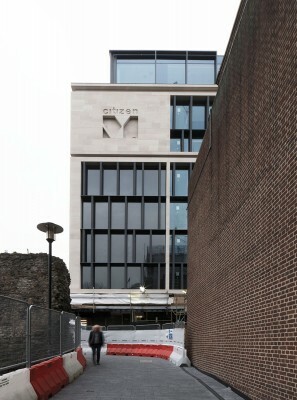 The new CitizenM Hotel by Sheppard Robson Architects stands directly across from the World Heritage Tower of London and adjacent to the remains of the Roman city wall. 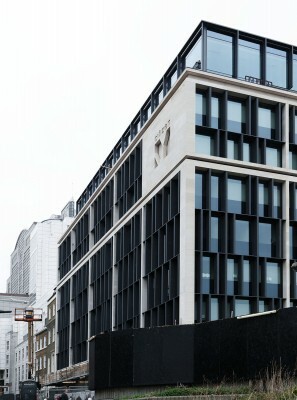 A careful modulation of the building’s elevation has ensured that it responds to its sensitive historic setting. 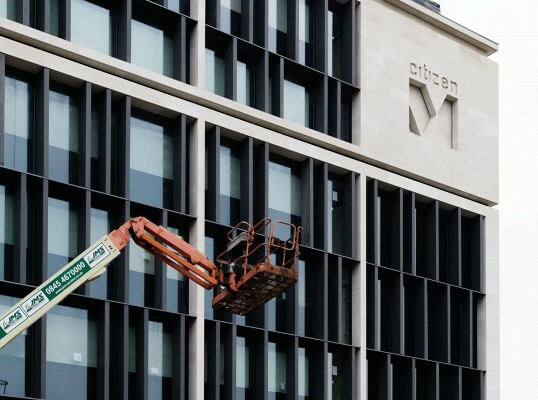 The external envelope façade package is tailored specifically to the requirements of the CitizenM. 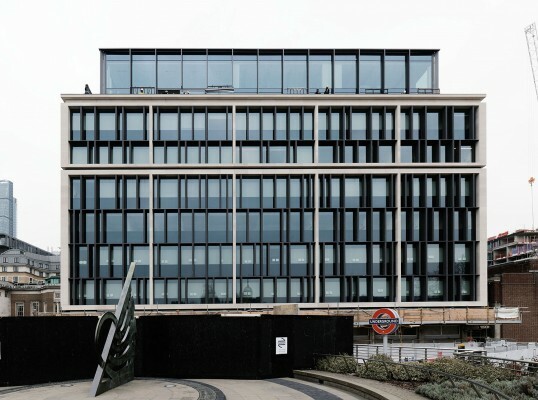 The construction of the façade based on a modular system which has been manufactured off-site and transported as completely finished units for erection on site. 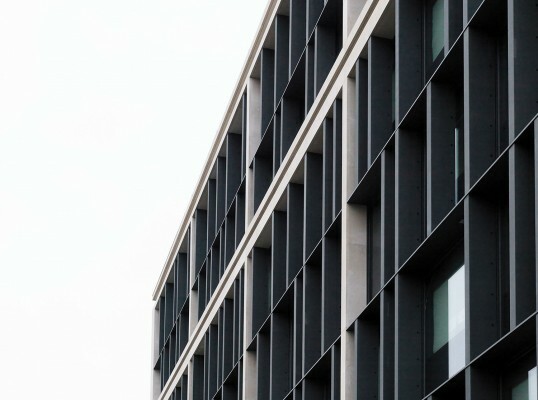 2,300 m² of 3-sided fibreC formparts are installed vertically between the glazing. The concealed aluminium fixing set-up is a bespoke bracketry and wind brace system, designed to allow the fixers to line up and move at height before locking down each piece. Each formpart can be fitted with its bracket on the ground and hoisted into place to be hung on the building.